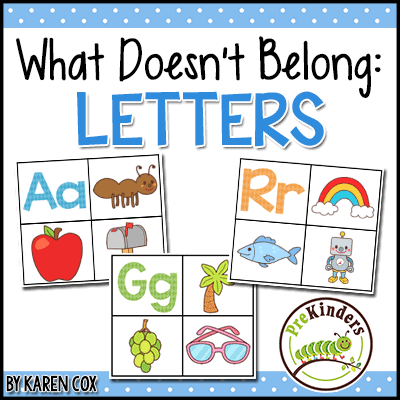 These games help pre-K children practice Letter Sound learning in a fun, hands-on way. Use 26 disposable clear punch cups and label each cup with a letter. Letter cup labels can be downloaded below. Collect a set of small trinket objects (you can ask parents and friends to send things in), such as plastic lizard, small block, watch, plastic frog, bandaid, necklace, button, dice. Place the trinkets in a basket. Children sort each trinket into a letter cup by its beginning sound. You can use all 26 cups at one time, or select 3-4 letter cups at a time for children to focus on. When searching for items to go in the cups, look for dollar store mini toys (especially packs of animals and bugs), look at doll house miniatures, browse craft stores for mini items. Draw a picture on a dry erase lap board. In the example below, I drew a snowman. Call children up one at the time to erase something that begins with something in the picture. In this picture, children can erase something that begins with H (hat), something that begins with B (buttons), something that begins with N (nose). Continue until everything is erased. Place three objects beginning with the same letter in a bag (such as ball, bug, and button for B). Have a child pulls each item out of the bag and name each item. Have the class guess the “mystery letter”. The class would guess Levi. If you have more than one child in your class (maybe Levi, Lucy, and Layton) who start with that letter sound, the class can name all of them. I have prepared a list of words for each letter that you can use for your students. Download the list below. Have kids stand, stomp, and growl when you say their “Monster Name”. 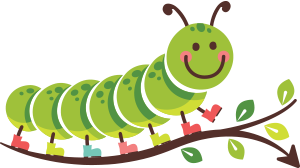 Replace the first letter of each child’s name with the letter M. For example, Braden’s name would become “Mad Monster Maden” and Ashlyn’s name would become “Mad Monster Mashlyn”. 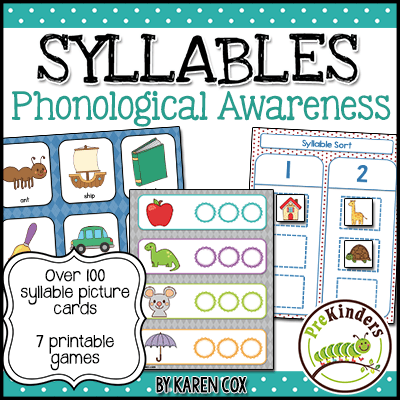 Children listen for beginning sounds in words and use bingo markers to stamp a letter each time they hear the letter sound. Get the printable game here: Letter Sounds Listening Games. Children look at the picture, say the word, and find the letter that matches the beginning sound. They mark the cards by clipping it or marking it with a chip. 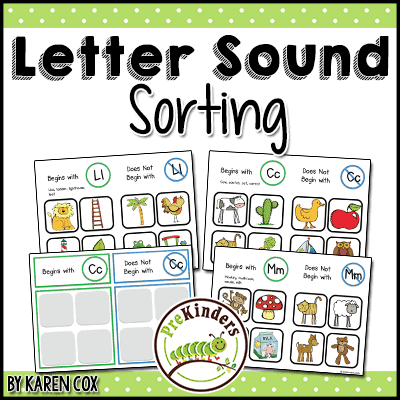 Get the printable game here: Letter Sounds Activity Cards. Children match letter tiles to the pictures on the mats by identifying the beginning sound of the words. Get the printable game here: Letter Tile Mats. These are available in my shop.